Snow White by Ballet Preljocaj dancers Émilie Lalande and Jean-Charles Jousni. Music by Gustav Mahler, costumes by Jean Paul Gaultier. 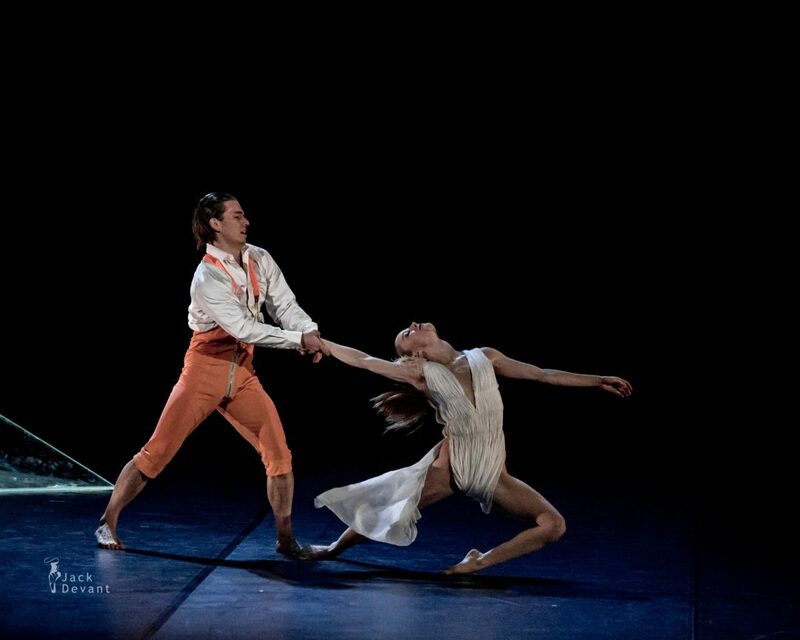 Context 2014, contemporary ballet festival by Diana Vishneva. Shot on 29.11.2014 in Mossovet Theatre, Moscow, Russia. Émilie Lalande is with Ballet Preljocaj. She was born in 1983 in France. She studied at the Paris School of Music and at the Rosella Hightower Dance School in Cannes. In 2004, she returned to the European Ballet corps, run by Jean-Charles Gil. She joined Ballet Preljocaj in 2008. Jean-Charles Jousni is dancing with Ballet Preljocaj. Jean-Charles was born in France in 1986. He studied contemporary and classical dance at the National School of Music and Dance in Brest. He has performed in Ose and Experience 4 with Herwann Asseh’s company, Moral Soul. At the Rosella Hightower Dance School in Cannes, he worked with Monet Robier and Hacène Bahiri. He joined the G.U.I.D. (Urban Group of Dance Intervention) of Ballet Preljocaj in 2007 before entering the company in 2008.